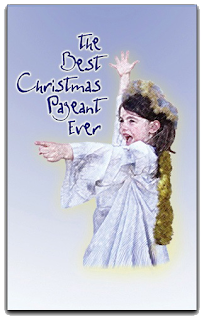 Last weekend I went with my family to see The Best Christmas Pageant Ever. It's a really fun story about an unchurched family - The Herdman's - who shows up at Sunday School for the free food, takes over the annual Christmas play (which everyone is sure will be ruined), and ends up learning the true meaning of Christmas and making the play the best one ever. The play really helped me think through some of the feelings I have about the division between Christian and secular homeschoolers. There is a reason we Christians have somewhat of a poor reputation. Some of us are just plain judgmental! Instead of focusing on ways we can share Christ's love with others, we focus on condemning lifestyles we've deemed ungodly. Instead of spending our time ministering to those in need, we spend our time debating subjects like modest clothing, sheltering, Halloween, Santa, Harry Potter, Twilight, and the list goes on and on. Now I am not saying it's wrong to have opinions about those things, but are these debates the best use of our time? Could that hour you spent crafting a blog post about biblical discipline have been spent praying for or mentoring a struggling homeschool mom? Although I love even the most conservative among my fellow Christian homeschoolers, I've had to pull myself back from the brink. In the name of sheltering my children from ungodliness, I was beginning to find a reason not to fellowship with nearly every family we encountered. Yes, every family we encountered was sinning. My family is also full of sinners. In fact, it is a sin for me to spend time looking for the splinter in my brother's eye while neglecting the log in my own. My neighbors went through a messy divorce over the past year, and when my neighbor called and asked me to babysit her kids for a few months, it was honestly the last thing I wanted to do. But I prayed about it and sought wise counsel, and although my flesh wanted nothing more than to send her away with a little cash and a promise that I would pray, I knew this woman badly needed a safe haven for her children that I was in a position to provide. Instead of simply praying for her, I could be an answer to her prayer. So instead of continuing to shelter my children from the messiness of life, we brought the mess right into our shelter. We had some difficult, yet honest conversations about the realities of marriage and divorce, and the ways divorce hurts children. We had some difficult, yet honest conversations about the consequences of sin. And we had the difficult, yet humbling experience of walking through tough times with a family who needed us, realizing that one day we may also be in need. During the process, my children lost some of their innocence, but they learned a tangible lesson about sharing the love of Christ. Are you teaching your children to simply pray for others or showing them how to be an answer to prayer? Are you teaching your children to avoid the lost or minister to the lost? Are you teaching your children that others are unworthy to be in their presence or that they are worthy of being loved? While Jesus was having dinner at Levi's house, many tax collectors and "sinners" were eating with him and his disciples, for there were many who followed him. When the teachers of the law who were Pharisees saw him eating with the "sinners" and tax collectors, they asked his disciples: "Why does he eat with tax collectors and 'sinners'?" As we enter the Christmas season, let us remember to love on, not avoid and condemn, The Herdman's in our lives. 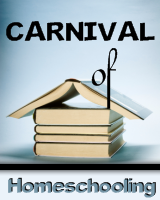 Don't miss my post next week about judgmental secular homeschoolers. Thank you for this post. Beautifully written, and much needed. Indeed you are right. Many christians have secom to a life of Judgemental. About 4 years ago the Lord took our family threw a growth in him more then we have ever experienced. Sadly our pastor of many years passed on and we gained a new younger in experienced pastor at that time. During the transition of this new pastor many of us began noticing a spirit of judgment in our church as we began praying over it the Lord called us out of the church to another for a growing season. In our time away I seen our church standing from the outside change from this loving caring do anything for you church to this cruel hate filled judging church casting people to the pit of hell. As our family witnessed from a far the hardships our old church was going to face, it also shed some light on our walk and how we truly should be a reflection of Christ. Shining, showing, living and loving just as Christ did. This is a truly powerful message I believe God is trying to wake his people up, I do hope that we all can hear his call.Thanks for sharing. Oh Carletta, this was sooo good! Very well stated and very true. Thank you for sharing. Amen -- I have never heard this expressed so well. Thank you for challenging us. Lovely way of phrasing this. May we, like Christ, always be a friend of sinners. I know I could sure use friends [smile]. Very thought provoking. Like most of life we have to strike a balance between whether to "protect from" or "expose to". 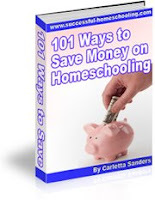 -The beauty of a homeschool family is, they actually get to make those decisions. We pray continually for God's help to make good decisions. It's easy to become judgmental. I'm glad God isn't. "While we were yet sinners Christ died for us." He said, "Whosoever will, and I'm very grateful." Thanks for this reminder. Love the Christmas comment at the end. Yes, I agree with you. My daughter recently made a friend whose family life is a mess. I thought for a moment about discouraging this friendship, but I really felt the Lord speak to me and see this as an opportunity for our family to minister to this girl and be true witnesses for Christ. What a great opportunity this is for us to live out our faith. So well stated!!!! I find myself thinking the same thing but never really having the nerve to actually set down and put it all out there. AMEN SISTER!!!! Thank you for convicting me this a.m. sometimes, we must step away and reflect and remeber that it's not all about US!! !